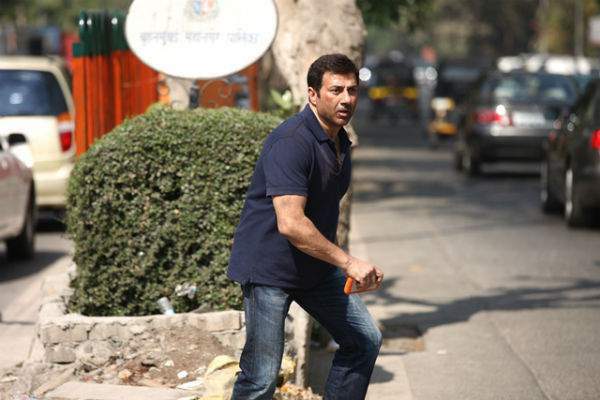 Ghayal Once Again Box Office Collections: Ghayal Once Again collections were one of the most talked about topic in the box office, since the box office earnings of Sunny Deol’s comeback was always in eyes of everyone. The movie was released 2 weeks before and does a great business in targeted market specially. The great audience can spotted in many different theaters across India. However the recent riots in Haryana have affected the business on a large level. Ghayal Once Again occupancy was seen higher in Uttar Pradesh, Haryana and Madhya Pradesh specifically. Sunny Deol have a huge fan base in Punjab, the movie is still doing a great business in the state. Although it’s an admirable fact that movie was successful in ruling out against the many other movies released after first week. Although Sanam Re and Fitoor hasn’t affected Ghayal Once Again Collections much but it can be seen that after release of Neerja the audience have moved forward to watch out a more recent film. The movie was released in India along with some countries with Hindi/Urdu audience. The collections report from overseas are not that much effective. It can be seen that lack of any other superstar with Sunny Deol was a big shortcoming in the film. All the way Sunny have performed his best but the best was not in competition with the current movies. Akshay Kumar’s Airlift has done a much better business with over thrice earnings. GOA also doesn’t have any more attractive songs which is another reason of having not much buzz in the market. On the 3rd Friday, GOA Collections doesn’t get any positive response from the market where the film was reduced only in some lakhs. Initially the movie has opened with a great pace and on its first day itself, Ghayal once again collections were 7.20 crores. In its first weekend the movie has done box office business of more than 22 crores, that was the golden week for the film. Afterwards GOA reduced in the big screens and competition also increases. During the first week,GOA Collections were nearly 40 crore rupees. On its second week the movie has done sustainable business of around 13 crore rupees. On 3rd Friday (22nd Day), GOA Collected around 30-70 lakh rupees although the confirmed reports are not available for the same.